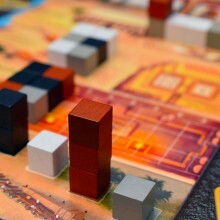 Imhotep, from designer Phil Walker-Harding and publisher KOSMOS, is an area-influence game for 2-4 players. 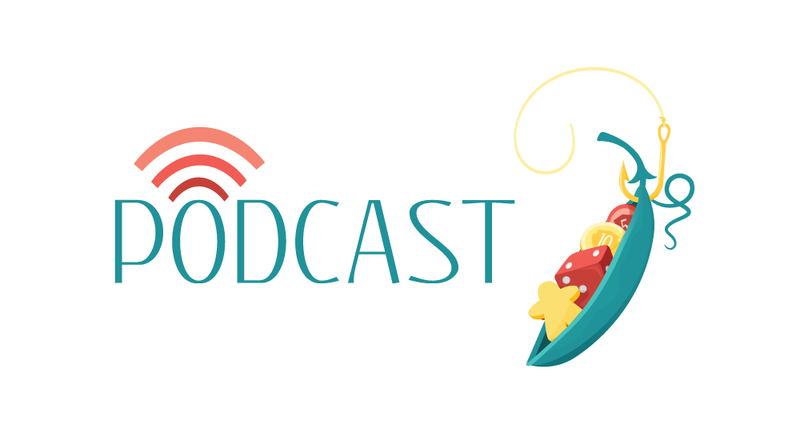 While “area-influence” is a borrowed term from the Board Game Geek database, it refers in this title to how players will be placing and delivering their personal stones to one of five different locations for a benefit. The game does not necessarily revolve around majority control of these locations, but rather focuses on apt placement and timing across six rounds to capitalize on the unique scoring conditions tied to each one of the modular ports. While these four actions are easily understood and remembered, it’s the timing of when to execute them that is difficult to master. 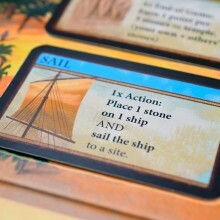 The trick is that each of the five available locations score in a different fashion, whether it be the Obelisk that rewards you based on the height of your structure, the Pyramid which awards more points with each successive level, or the Market, which doesn’t technically score, but allows access to powerful single-use action cards and additional end-of-game bonuses. Placement of your stones is key, as upon sailing, each stone is delivered in order from the front of the boat on backwards. As such, tough decisions on which of the different sized boats to stock with your stones, what order in the boat to place them, and where to then sail them must be made; all while anticipating your opponent’s actions, which are likely to throw an ill-timed wrench in your plans. 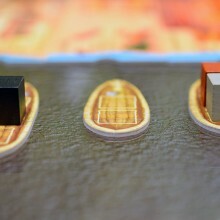 Each game round follows clockwise around the table, with players taking one action at a time in this fashion until all four of the boats have been delivered to a dock, meaning that not every location will be visited during the turn. The game continues on for a total of six rounds, swapping the combination of boats according to a randomly-selected set of round cards. At the end, locations and cards with end of game scoring conditions are tabulated and the individual with the most points is hailed among the great builders of the time! This review comes at a unique time, as just a few days ago I would have speculated on Imhotep’s viability as a Spiel des Jahres winner, for which it was nominated this year. 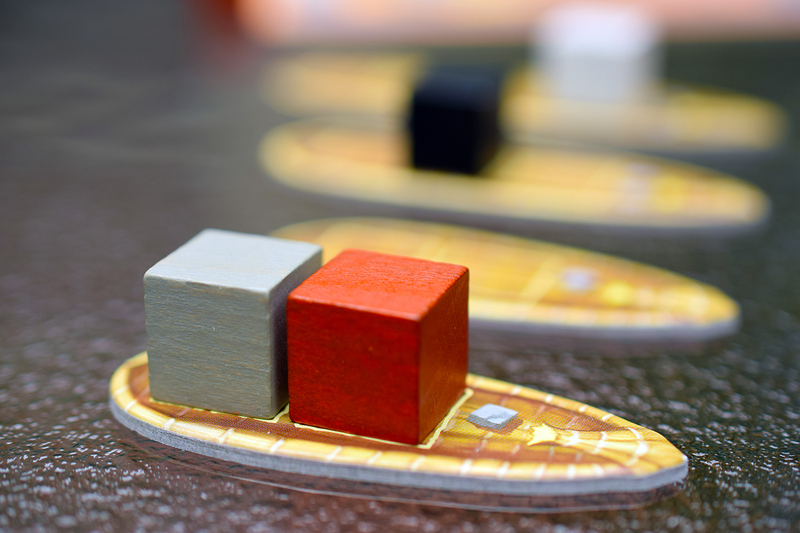 Instead, given that Codenames was announced to have won the accolade, I can reflect on its successes and potential pitfalls in the context of its nomination – which is still a great honor. Imhotep has proven to be a tough sell to many in my circle, for a number of reasons. On its surface, it seems to lack depth, with only five unique options (technically ten, given that they’re double sided), and given how you interact so heavily with each throughout a game, it can leave you feeling as though you’ve experienced everything it has to offer after only a play or two. The game also lacks an aesthetic flair to draw the eye, with the muted tones fitting the theme well, but not being particularly grabbing. It has also proven to be highly interactive mechanically, but – for whatever reason – leaves our groups silently engaged, barely acknowledging each other until the round is over. Imhotep will depend heavily on your desire to experience something new versus perfecting something familiar. While these all ring true to a different extent depending on the group, I seem to have become somewhat of an Imhotep evangelist and have found a lot to enjoy from this lightweight euro-style game. While the color scheme doesn’t stimulate the eyes, the way in which the four monument boards grow three dimensionally as you stack your stones is wonderful. It gives the game dynamic presence and a sense of progression across the rounds. It also proves to be highly interactive, primarily because of how the boats are loaded in any order, but unloaded front to back. This creates a tension as you jockey for position and work to balance placing cubes and keeping your supply full. 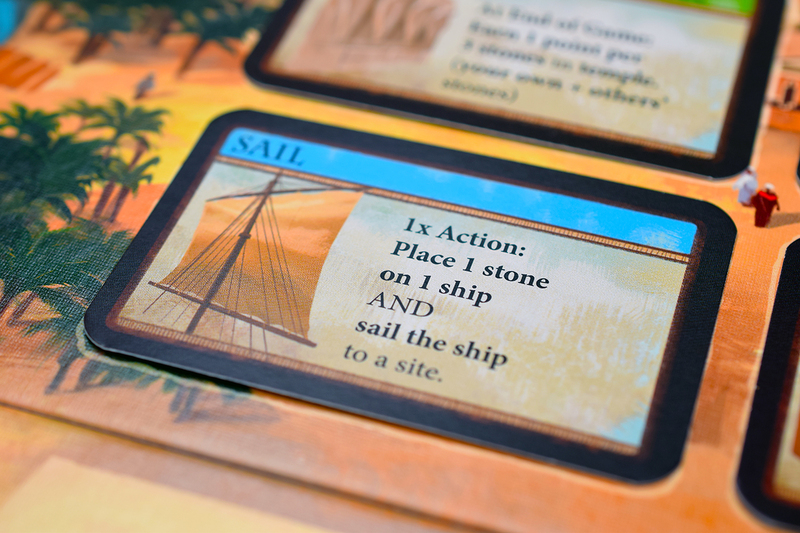 Sailing the ships can also be “take-that” given that you may sail any ship once it has met the threshold, not just those carrying your stones. An attentive player will send your ships to a monument before you’re ready or, even worse, send a well stocked ship to the least beneficial location. It does sound aggressive, but the game never feels harsh, primarily because even the least ideal port still provides a positive benefit. On the subject of the ports, this has been a concerning element for some because of its potential lack of variability between plays. I can agree that the locations quickly become familiar, but I’ve found it to be a benefit to playing more effectively. 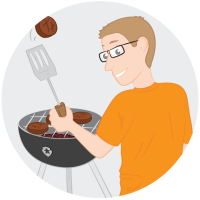 Not having to work through a complicated scoring mechanism allows you to focus on the heart of the game: timing your actions and anticipating your opponents. Additionally, the modularity allows you to craft a setup that fits the experience level of those you’re playing with. After 10+ plays, I’ve moved on from the A-side Pyramid and Obelisk. I find their B-sides to provide a greater challenge for an experienced player. I have also completely done away with the A-side Temple, outside of learning games with more casual gamers. The Burial Chamber – my nemesis – and the Market, provide interesting options with either side. What this amounts to is not endless variability, but rather a moderate amount of difference that gives you new things to work with, but not new things to learn and remember. It continues to flow with the same ease no matter how you twist the location boards, allowing you to focus on the turn-to-turn play. 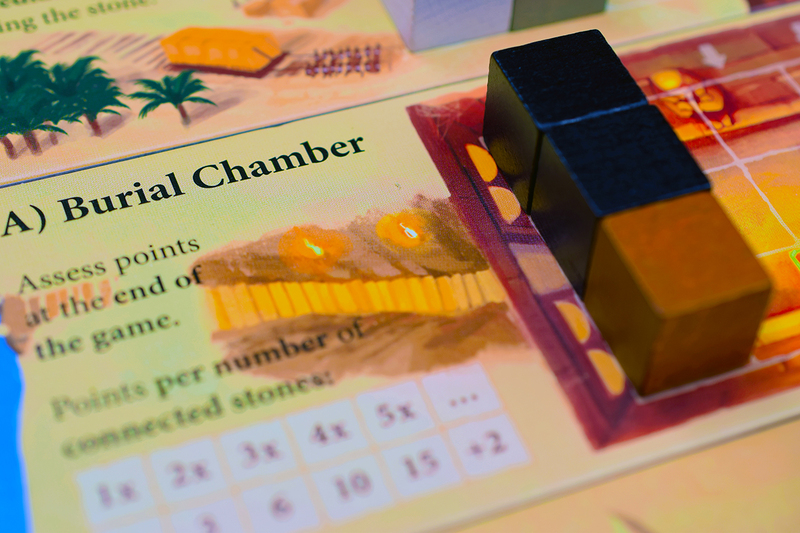 I can see why Imhotep received the SdJ nomination, with its ease of place, three dimensional presences and modularity, but it’s also not surprising that it fell to the juggernaut that is Codenames. Imhotep isn’t able to reveal itself in the way Codenames is, requiring many more plays before you realize that the well is dug much deeper than it first appears. Still, the waters here are not endless and your prolonged enjoyment with Imhotep will depend heavily on your desire to experience something new versus perfecting something familiar. 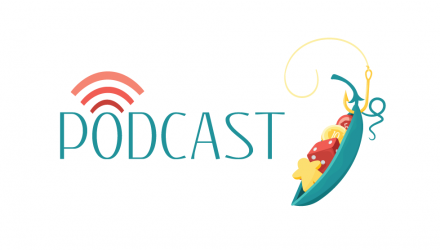 Games will quickly swing toward the latter, gaining staying power with those who re-play and garnering a fleeting glance from those who’d rather not. Let this inform the decision of where to spend your money, but either way, don’t pass on a free opportunity to give this title a few chances. It may just grow on you. 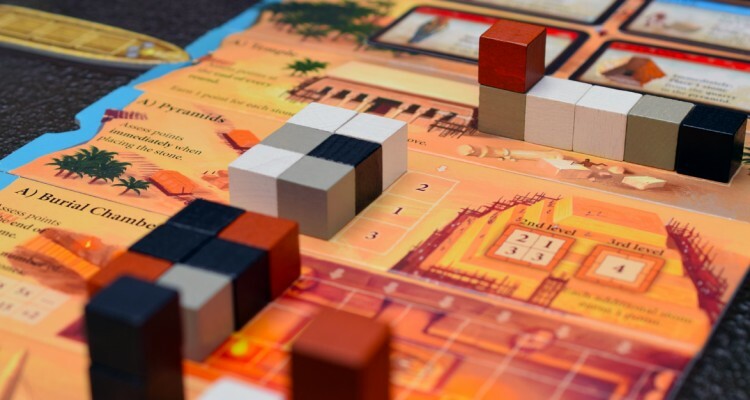 When the Spiel des Jahres nominations were announced, I remember seeing Imhotep among the nominees and thinking “what the heck is this game, going up against Codenames and Karuba? !” I had heard very little about it and, having played and really loved the other two games, I found it quite odd that it had such a low profile and yet had received such a prestigious nomination. Imhotep deserves a few chances and a little of your time, without a doubt. As Matt mentioned, the game does not scream “PLAY ME!” and, to some extent, I think that’s a shame. The cubes are super boring colors and there aren’t any super fun-shaped pieces to play with. 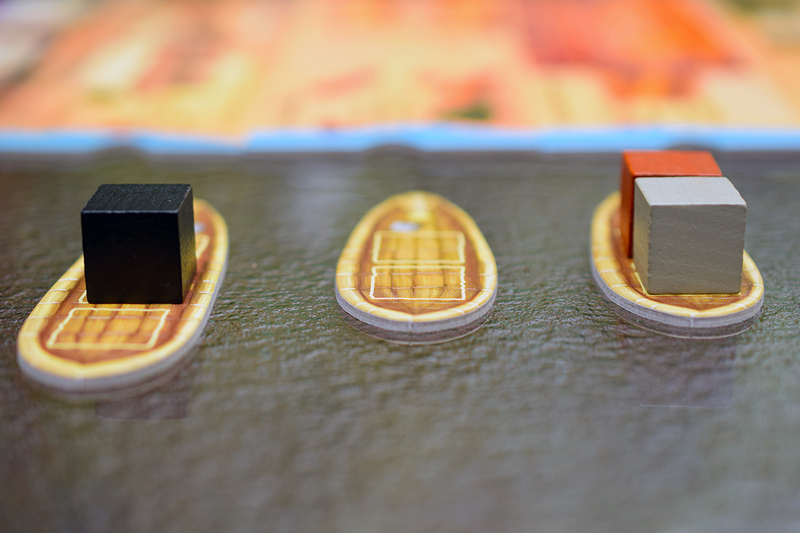 On the other hand, the fact that you build the board with the different location tiles, which are very neatly notched so that the boats fit into them, in addition to the ability to pile up cubes throughout the game adds a minor tactile element to the game. Imhotep is difficult, I think. 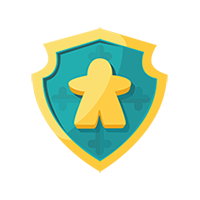 There is strategy in the gameplay, but getting a full grip on that strategy requires multiple plays and a thorough understanding of what you really can gain from each area of play. Even after multiple plays of different combinations of A- and B-sides, I still find myself having to work out my best move (and then still hoping for the best). There are other times that I’m honestly just sort of winging it because my plans were shattered by another player sailing me somewhere I didn’t want to go. 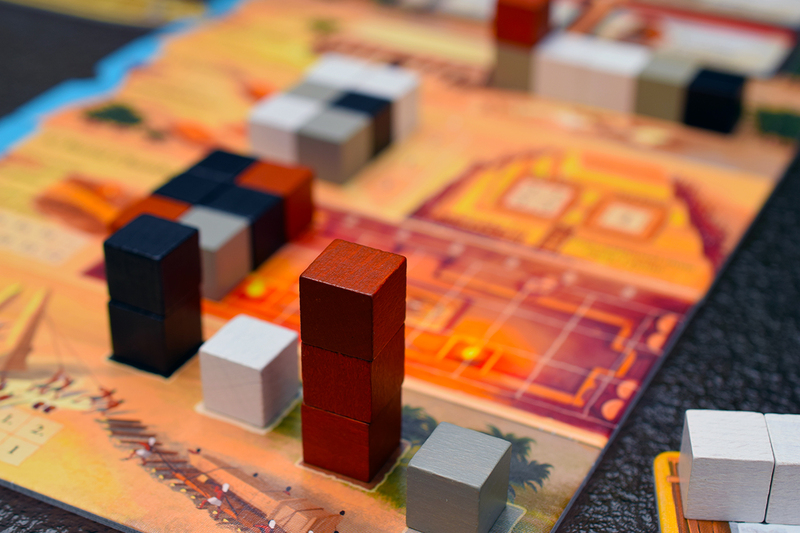 With that being said, the game provides so many opportunities for scoring and benefit that “just winging it” is not necessarily going to screw you in the end: Imhotep can be quite forgiving and that’s nice for bringing people back into it. Is this my first pick on game night? No, probably not. Am I going to be sad if someone wants to play it, though? Again: probably not. I recommend you give this game a fighting chance: play it a couple of times, try out the B-sides, and don’t expect it to be Codenames levels of a rip-roaring good time. I’ve had the opportunity to play this a few times, first at Origins and then locally, and I can say I’ve enjoyed it each time. While it certainly can be frustrating to see your perfectly-stocked boat sail off into the distance, and not where you wanted it to go, the balance between the requisite timing needed to stock your supply, your boats, and then unload them is a quite interesting dance. While no one seems to love the colours of the game (what, do you want pink pyramids? ), I feel it’s quite fitting, and the impressive size and heft of the cubes make for a very tactile game, as well as adding to the visual aspect once you’ve built up a few of the monuments. Imhotep is not one of those long complex games that I so enjoy, but it’s a perfect bit of light entertainment, with a good bit of tactical thought required. I quite enjoy any chance I get to play Imhotep. It is a great exercise in mind-reading, and in trying to really figure out why Matt put his cube on the third space of a boat. Or why Smee is sailing my ship to the wrong place! (Don’t do that Smee). You must always be ready to adopt new scoring opportunities as you go, as well as ways to really mess up your opponents plans. It may seem that there is a lot of ‘take that’ to this game, but it really is not that bad as cubes rarely go to complete waste, wherever they’re put. Imhotep is easy to teach and play, but I feel that some groups may find it to be too “boring”, and as such I would have concerns about this being labeled a family game. I do think that the length of the game is perfect and the components and variability in setup can keep this one fresh, but how long that freshness will last is yet to be seen. Even though I am pretty bad at mind reading, I enjoy the puzzle Imhotep offers.